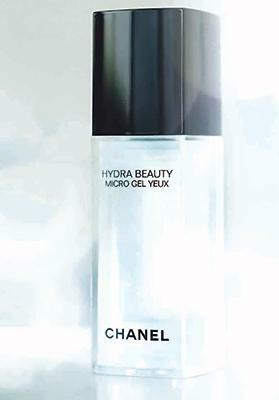 With a combination of active ingredients at the height of their potential and exceptional textures, Hydra Beauty skincare products do more than just moisturise, protect and illuminate skin: they help skin withstand long days and short nights, protect itself from harsh pollution and counteract the dryness of air conditioning, combat fatigue and regain energy. But the reason women apply them every day with the same eagerness and desire is because of their transforming textures, which instantly melt on skin unleashing a cascade of sensations. 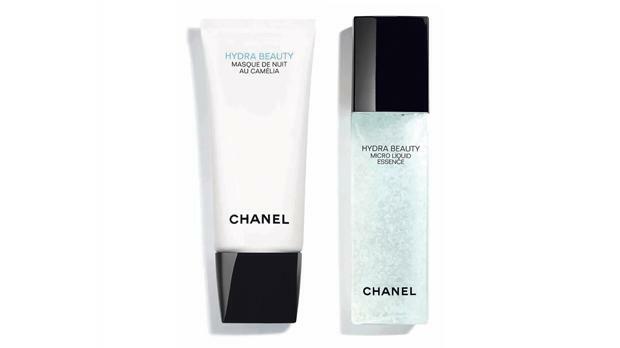 Chanel has launched two new hydration, protection and vitality boosters: Hydra Beauty Micro Liquid Essence and Hydra Beauty Masque de Nuit au Camélia. As fresh as water, the texture of Hydra Beauty Micro Liquid Essence diffuses over skin like a vivifying wave, leaving a pleasant sensation of hydration in its wake. Then, the jellified camellia micro-droplets burst, offering a wonderful feeling of comfort. Smoothing outwards over the face, the micro-droplets burst and envelop the skin, infusing it with extreme comfort. Immediately hydrated, skin is fresh, plumped, luminous and revitalised. Application after application, its texture is refined and the complexion appears even. Hydra Beauty Masque de Nuit au Camélia is for skin overworked by an extremely intense lifestyle and suffocated by an asphyxiating city. Once it is free from the stress of the day, the skin takes the time to regenerate and repair itself at night. This intense cellular activity requires a great deal of energy. During this daily reconstruction phase, it is also more permeable and more receptive to active ingredients, the perfect time to help it regenerate.